Allianz PNB Life is making a bullish stance as the global insurance company expands its operations here, strengthening its presence and boosting its ability to cater to more customers in one of the country’s fastest-growing insurance markets. During a press conference at the Radisson Blue Hotel, officials of the company have announced the expansion of its Agency Distribution Channel and the launch of Bancassurance Life Track Stations in PNB branches here. 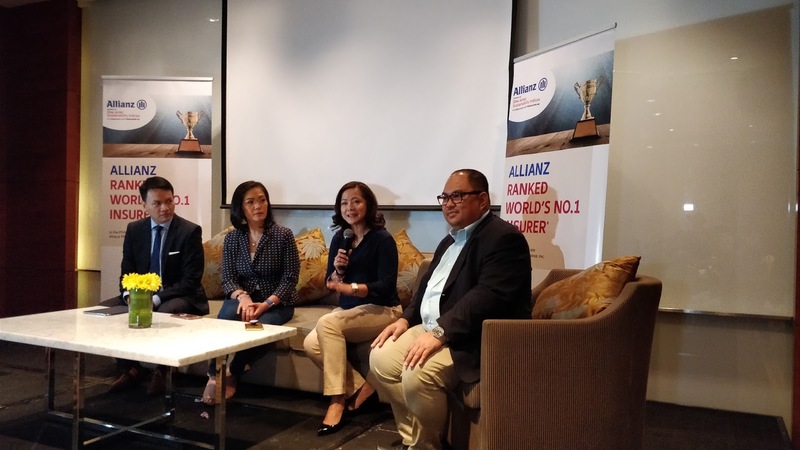 “Allianz wants to be there to provide financial security solutions as Cebu continues to progress. Where there is progress, Allianz is there to offer financial solutions both at the personal and corporate level. We will give Cebuanos the opportunity to sustain and protect their financial advancement,” Efren Caringal, Chief Financial Officer at Allianz PNB Life, said during the event. In particular, Caringal is referring to the “Allianz Life Changer Program”, which is the company’s career opportunity program that promotes a mindset of building a business as a trusted financial partner of Filipinos to change lives for the better. According to Caringal, a business opportunity meeting for the “Allianz Life Changer Program” is set on February 2 at the Radisson Blu Hotel. “Next week, Allianz starts to embark on a series of major activities to promote ‘Life Changer.’ We are optimistic that a great number of Cebuanos will consider becoming a ‘Life Changer,’ he added. Earlier in the day, Allianz PNB Life has unveiled the first Bancassurance Life Track station in East Visayas at the PNB M.C. Briones branch. The Life Track Station is aimed at providing PNB and PNB Savings Bank customers with a more comprehensive financial wellness experience. Additionally, it gives a distinct and private space for bank clients and prospective investors to seek out Allianz PNB Life’s financial advisors and discuss how investing in financial products could help address varying needs. Incidentally, Allianz PNB Life is a major partner of the 2018 Sinulog Festival. Aside from Caringal, the company’s top executives who flew from Manila to participate in the Sinulog Festival as well as the press conference, included: Carol Bernas, National Sales Director for Bancassurance; Rosalyn Martinez, Chief Marketing Officer; Reynulfo Abrazaldo, Brand Communications and Digital Director and Joserey Godin, Regional Business Manager Visayas Agency.